Being charged with DUI can be stressful and downright scary, especially when you’ve never been in trouble before. A DUI conviction can have a negative impact on your life and alter your future. You need honest advice from an experienced Tucson DUI attorney. Leonardo Law Offices is committed to the vigorous defense of people accused of DUI and other vehicular crimes. If you have been arrested for DUI, or any other vehicular offense, it is important to get help as soon as possible. Once the legal process is over, there is very little anyone can do to undo a conviction. No one wants to live with regret. Don’t decide that there is no way to defend your case without talking to a Tucson DUI defense lawyer first. Call our experienced Tucson DUI attorney now for a free, no obligation case assessment at (520) 314-4125, or contact us online. A case assessment will cost you nothing and can be done over the telephone in few minutes. We are also happy to meet with you in person if you prefer. If we think we can help you after evaluating your case, we will quote you a reasonable fee for our services. We can also work with you in creating an affordable payment plan if necessary. We cannot guarantee any particular outcome — no honest attorney can — but we can guarantee that we will do everything we can to get the best result possible in your case. We have successfully handled hundreds of DUI cases and vehicular crimes, primarily in Tucson City Court, Pima County Justice Court, Pima County Superior Court, and Federal District Court. Our Experienced DUI Attorney, Nathan Leonardo, grew up in Tucson and has worked as an attorney in Tucson for 16 years. He began his career by prosecuting DUI cases in Pima County Justice Court. 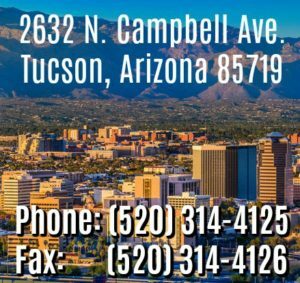 He has now been a Tucson DUI defense lawyer for 8 years and has helped hundreds of local clients, including University of Arizona students and Pima Community College students, resolve their DUI cases in a favorable manner. If nothing else, we encourage you to peruse this website and use it as a resource. We have included a lot of important information that may help you with your case whether you hire us to defend you or not. The more knowledge you have, the better. Combined with preparation, effort, and persistence, this knowledge can lead to victory. The consequences of a DUI conviction, or any criminal conviction for that matter, are severe. You must make your defense a priority.